We have this thing in our family, something that is as much a part of our family as we are. This knife has been around for a very long time, a very, very, very long time! I’m not exactly sure how old this knife is but I am thinking it is possibly older than me circa 1980 possible wedding present when my mum and dad got married. Now I know this is a very random blog post, why blog about a knife you weird woman??????? This is why. It has never been broken, never been sharpened ever. Not one single time in those (and possibly more) years. My mum, and all of us too, use it for everything and I mean absolutely everything. Cutting meat, bread, fresh fruit and veg it does it all without fail first time you just can’t get quality like this these days, well not unless you are willing to fork out an absolute fortune anyway. 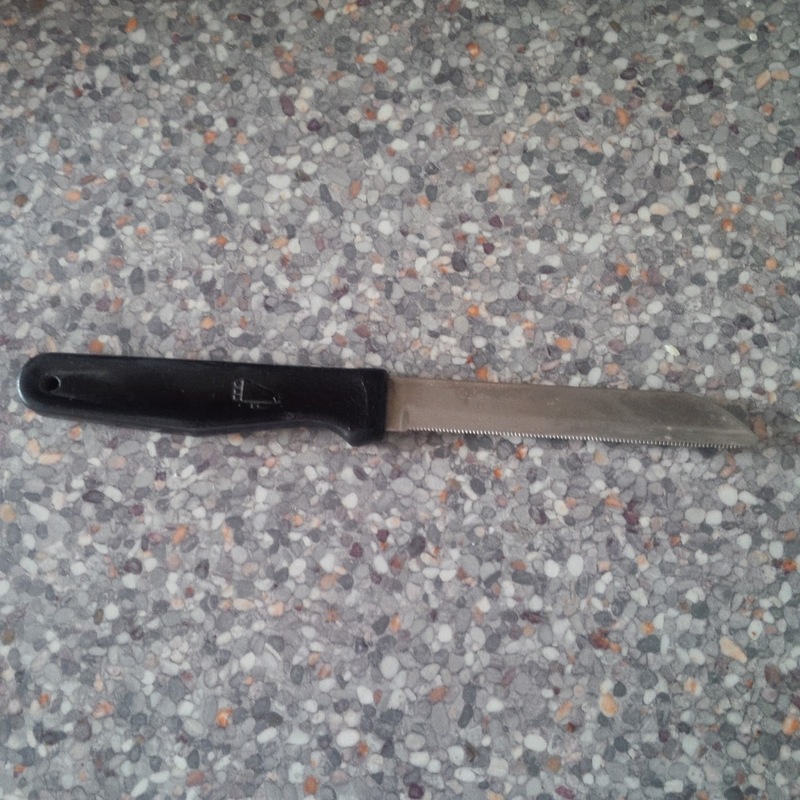 This knife is the item in our family, keep your money and your jewellery this is what we will be fighting over in years to come trust me and I can see it out living all of us! We have a vase in our family! It was my mum's grand mothers, and now I have it! But with four little ones and a cat and dog, I daren't have it out on show in case it gets broken! I would hate to be the one who damages the heirloom from my mum's side of the family! I will be glad when my eldest daughter is old enough to take over lol!